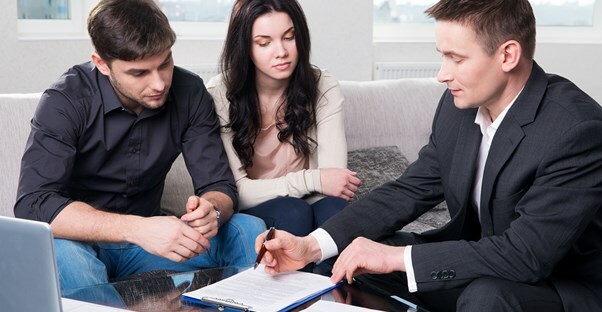 Insurance agents have the authority to advise and sell various insurance policies either as representatives of large insurance carriers or, operating as independent brokerages. So, if you have a curiosity and have asked yourself how do I become an insurance agent? – Read on to learn how. Insurance agents come from diversified backgrounds and/or varying experiences. While there are situations where insurance agents begin their insurance careers with a simple high-school diploma or equivalent, most agencies and brokerages prefer candidates with college degrees. As a general rule, It’s helpful if an insurance agent enters the insurance industry with a management or business degree. The business concepts of finance, marketing and economics easily compliment an insurance agent’s responsibilities. Despite the extensive amount of material covered in these pre-licensing programs, newly-hired insurance agents can expect to receive ‘on the job training’ once they begin to actively pursue their insurance careers. This company specific training programs cover the types of the insurance the company sells, effective sales strategies and the placement of a new agent with a seasoned agent – as a mentor. Each state has different licensure requirements if you are to earn a license in that specific state. Sometimes, within the same state, agents selling certain lines of insurance might be required to take additional courses. As a general rule, if you wish to get an insurance license to sell insurance products, you are required to pay a licensing fee, complete a pre-licensing training course and pass the state insurance licensing exam. It should be noted that certain jurisdictions require that an employer sponsor any insurance applicant during the pre-licensing phases. The work does not end when you have earned your insurance license, because licensees must comply with periodic renewals and continuing education guidelines. Given the information noted above, are you still asking yourself: ‘How do I become an insurance agent?’ At its most basic form, one can potentially become an insurance agent in a matter of days. The only delay that might impact this process would be related to a) when the pre-licensing course is offered, and b) the state licensing exam schedule.